Nineteen US states have introduced bills that would curb freedom of expression and the right to protest, an “alarming and undemocratic” trend, UN human rights investigators say. Maina Kiai and David Kaye, independent UN experts on freedom of peaceful assembly and expression, said on Thursday the moves were incompatible with international human rights law. “The trend also threatens to jeopardise one of the United States’ constitutional pillars: free speech,” they said in a statement, calling for action to reverse such legislation. 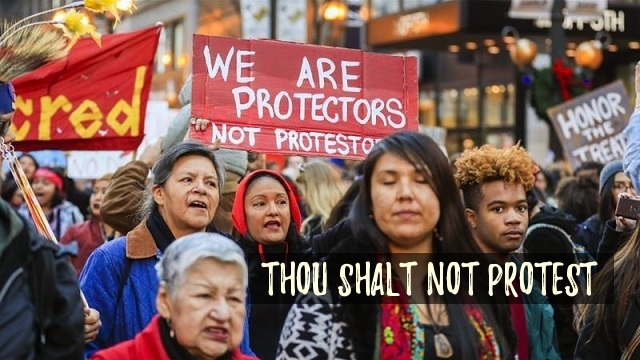 “From the Black Lives Matter movement, to the environmental and Native American movements in opposition to the Dakota Access oil pipeline, and the Women’s Marches, individuals and organisations across [American] society have mobilised in peaceful protests,” Kiai and Kaye said. Several bills proposed in Colorado, North Dakota, and Oklahoma targeted opponents of the Dakota Access Pipeline in North Dakota and would have “a chilling effect on environmental protesters”, the experts said. 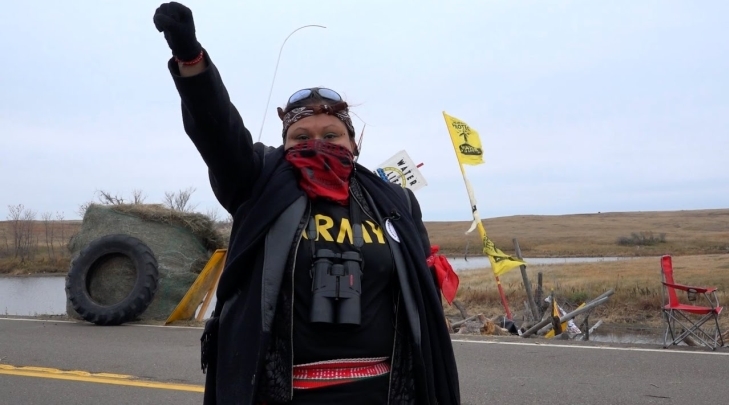 Last month, dozens of armed US law enforcement officers swept through a protest camp near the site of the pipeline, clearing the gathering that for months served as a base of opposition to the multi-billion-dollar project. In Missouri, a bill proposed a seven-year prison term for “unlawful obstruction of traffic”, while the Minnesota bill would criminalise peaceful protesters for participating in demonstrations that subsequently turned violent. The UN experts said there was no such thing as a violent protest. Free speech advocates say the bills are worrying, seeing them as opening the way to criminalising peaceful protests. Under the proposal, those convicted of participating in a riot involving more than 100 people could be sentenced to up to 10 years in prison and a $20,000 fine — double the current penalties for a lower-end felony. Participation in smaller-sized riots, currently a misdemeanor, would be upgraded to a felony carrying up to five years in prison and a $10,000 fine. Another of the proposals being considered in response to the pipeline protests would exempt drivers from liability if they unintentionally injure or kill a pedestrian obstructing traffic on a public road. A member of legislative leadership, in response to the Dakota Access Pipeline protests, is aiming to ban protectors from wearing masks. House Bill 1304 prime sponsor Rep. Al Carlson, R-Fargo, said the purpose of bills such as his are to give law enforcement clear direction on handling of protests. Responses to "Undemocratic new US bills are under investigation by Human Rights Experts"